Everyone knows that Hootsuite is my favourite social media dashboard, essentially my home page on the internet. One of the reasons is that they host great chats on Twitter with experts in certain areas. Today the chat was about running "social media campaigns", the mostly description-less title given to countless numbers of things that happen on Twitter, Facebook, Pinterest, Instagram and more. The folks at Hootsuite asked Stefan Krepiakevich to spend some time chatting about what he's learned about running campaigns. Here's a brief outlines of what we learned. 1. What is a "social media campaign"? Stefan began by helping us understand that a lot of things can be under the heading of campaign, including contests, video and photo sharing or creation, or using hashtags. 2. When should a company use a "campaign" instead of the regular management of online channels? A campaign takes some thought, planning and work to execute so a business can't use all it's resources on them. Some ideas about when to use a campaign included when you are trying to increase your email list, when you are trying to gain more followers on a particular channel, or on all of your channels, or when you are trying to build more engagement from your followers on a particular channel. 3. What are some best practices for running a campaign? This one was pretty unanimous across all the participants in the chat. Make sure it's easy for people to take part. If it's a contest, don't ask for too many things from your fans. If it's a hashtag don't try to make it too clever. Keep It Simple, Stupid. Some other key things to keep in mind is to have goals and to not do the same old thing everyone else is doing. 4. Should a business integrate other offline marketing in their campaign? This was another pretty unanimous topic. Everyone agrees that email marketing delivers results. If you do no other integration you should at least be sure to tell your list that you are running a campaign and encouraging them to join. However, it does depend on your goals and on your existing social media communities. Sarah Little said it best I think. If you are trying to raise awareness of your business than use every marketing media you have, if you are trying to reward or engage your social media fans that make it exclusive to that social media. 5. Is there such a thing as running too many campaigns? I think everyone was glad to see Stefan's answer to this question which was "Yes". He feels that each business has their own threshold where running more campaigns is not going to help reach any goals. And every business owner and social media manager breathed a sigh of relief because running a campaign is a lot of work. 6. Speaking of how much work it can be, the next question was about how to run a campaign with low resources. The answer to that is to take time to research where your fans are and what they want. Then include them. Come up with a campaign where they do more of the work - sharing photos or videos, caption contests. And be sure to reward them often by re-posting and thanking them. 7. What makes campaigns like Old Spice, the ALS Ice Bucket Challenge, BatKid etc. work? Everyone chimed in here talking about how funny and entertaining some good campaigns are. Everyone agrees there is no way to force virality, but to try to create the most entertaining and interesting campaign you can. 8. Some examples of great campaigns in 2014 from Stefan and other chat participants include Heineken's Crack the Open, Doritos Crash the Superbowl, Madden 15's Giferator, the ALS Ice Bucket Challenge, Dominoes Meltdown, Lufthanas Meltdow, SingItKitty. 9. Are there things to keep in mind for brands with global reach while running a campaign? Really, having a global business doesn't change much while trying to come up with a campaign idea. Stefan thinks having a simple, uncomplicated campaign helps. Something that is fun, easy and relatable. The last question of the hour was about 3 key take-aways from today's chat. I'm sure you can figure out what most people thought since they've been brought up a number of times. Set a goal, be creative, make it easy, take time to research your audience before implementing and if it meets the goal, use all of your marketing channels to spread the word. If you ever want to learn more about how to use social media to meet your business goals Hootsuite's chats are great for picking up ideas. 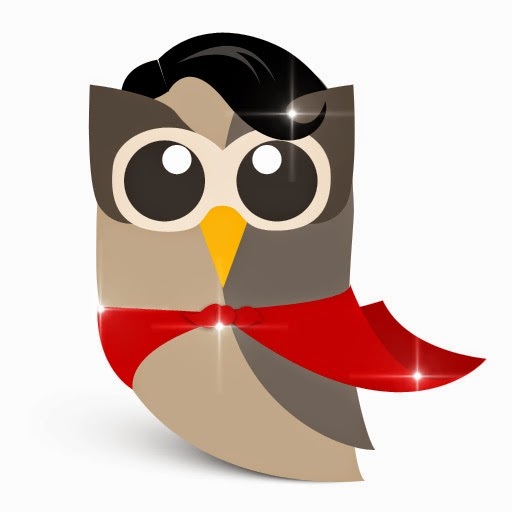 Follow HootsuiteBusiness on Twitter and start learning!